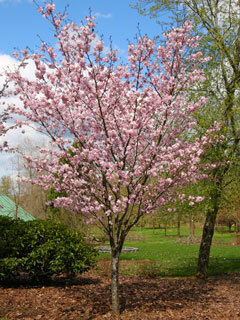 Narrow and upright in form, but compact in height, this flowering cherry is well suited for urban landscapes. 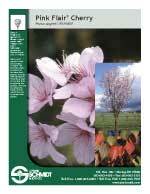 It avoids frost damage by flowering a week or two later than is typical of the species. Fall color is consistently bright, and its upright symmetry gives winter appeal.